← 2012 Chevy Cruze Eco Astonishes With 42 MPG! The 2012 Winter season is upon us, and you know what that means: winter driving in sleet, snow and freezing rain! What your Dad (or Grandfather) told you was right. Though we may or may not be seeing another blizzard quite like we did a few years ago, it’s a good idea to keep an emergency utility kit in your trunk as well as having some basic winter driving techniques in your back pocket. Just in case. The items located in this emergency kit will be able to help you warn other drivers that you are stuck; or in the event of an accident, these items will also benefit you or help to assist a fellow driver. Before setting out, be sure to remove frost/ice/snow from all windows and make sure that your tires are properly inflated. Improperly inflated tires won’t perform to their best ability, and at some levels, can even be dangerous. When the temperatures drop and the snow falls, you also want to always maintain complete control of the car, which means dis-enabling cruise control. 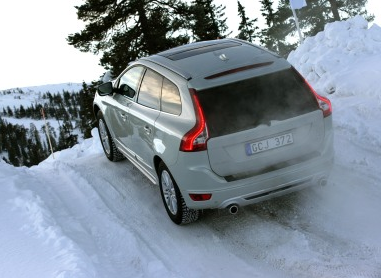 When driving through snow or ice, avoid abrupt acceleration, braking, or turns, as this can quickly lead to an accident. Instead, gently accelerate and smoothly control the car. When turning and braking, try to anticipate the turn or traffic situation up ahead, and control the vehicle as needed. And always keep a safe distance between you and the car in front. Have additional tips for braving the cold this winter? We’d love to hear them. Posted on January 11, 2012, in Automotive, Safety, Winter and tagged driving, ice, Koons, Krystal, Krystal Koons, safety, snow, tips, Winter. Bookmark the permalink. Leave a comment.